20/twenty Challenge hats and swimming caps (in the water) must be worn throughout the course to distinguish which division you are in. All team members must reach Clontarf Beach by 10.30 am to participate in the kayak leg. All team members running/walking to Balmoral Oval must leave Chinaman’s Beach by 10.45 am. All team members must leave Chinaman’s Beach by 11.30 am to kayak back to Clontarf. After this time - you will be transported back by boat. Grand Prix and Classic Division swim legs – each team member needs to complete 4 laps of the 500m swim course. If your team has put forward a nominated swimmer, that swimmer can swim one of the laps for each team member. Children under the age of 18 years must be accompanied by an adult throughout the course. Teams participating in the Grand Prix and Classic Divisions are required to put forward a nominated ‘swimmer’ to take part in the first 500m lap of the challenge. 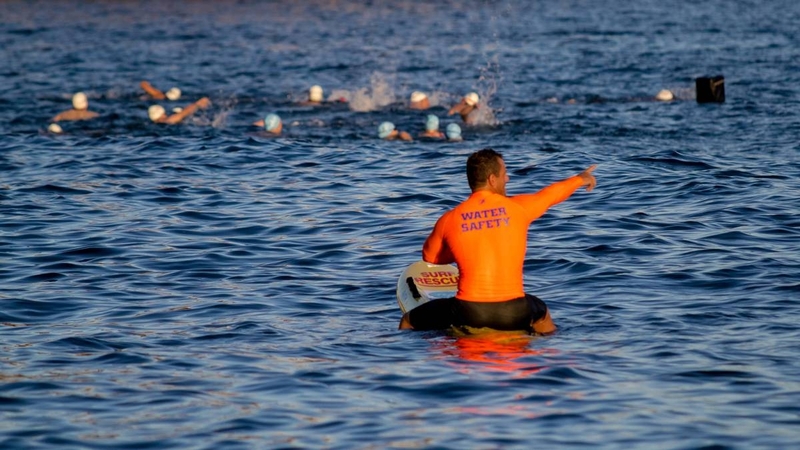 Your chosen ‘swimmer’ can be in addition to your existing team members. They could be a professional sportsperson, Olympic swimmer or a keen ocean swimmer, or they might be the person in your team that you regard as the fastest swimmer and they are happy to swim an additional lap. It is not compulsory for your team to put forward a swimmer in this lap, however, those teams that do will get to start their challenge before all other teams, giving you a time advantage. Teams need to send the details of their nominated ‘swimmer’ to Cerebral Palsy Alliance by Friday 22 March 2019. Classic, Classic 500 and Family teams are not permitted to run any part of the course. The Grand Prix teams can only run from Chinamans Beach to Balmoral Oval and back. All other parts of the course must be walked. Please note this is a council regulation and one of the provisions of holding the event. Any teams spotted running where not permitted will receive a time penalty of up to 5 minutes. If a swimmer gets into difficulty they need to raise their arm and our water safety team will come to your assistance. Life jackets must be secured prior to entering the water for the kayak leg. Teams must ‘check-in’ at all drink stations along the course. Drink stations are located at North Harbour Reserve, Clontarf Beach, Chinamans Beach and Balmoral Oval. All participants will be sent a text message on Friday 5 April 2019 with the name and phone number of who to contact in case of an emergency during the event.